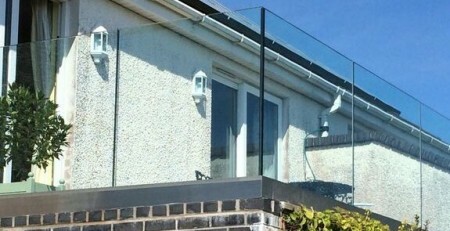 Cleaning your balustrade system, particularly the glass can seem like an annoying chore but if you do it right it can be an extremely quick, simple and oddly satisfying task. We have created 4 basic top tips to get your posts gleaming and your glass streak free! 1) It’s worth investing in a professional glass cleaner that will get the job done in no time. We recommend using the Dirtbusters professional Glass and stainless steel cleaner polish 5 litres for a streak free finish as used by professional cleaning and car valeting companies. It is very easy to use and extremely fast at drying and with no streaks. 2) It sounds obvious but using the right cloth is essential for creating sparkly new posts and crystal clear glass. There is no point in going to all that trouble to clean your balustrade system if you are going to use a dirty old rag. We recommend using one damp cloth for cleaning and another dry cloth for buffing the shine and removing any streaks. We recommend the 20 Pack of Genuine Exel 10 Pink & 10 Blue Microfibre Magic Cleaning Cloths. Chemical Free Cleaning. Anti Bacterial Microfiber Cloths for Amazing Smear Free Wiping. 3) If your balustrade system is outdoors then you need to choose a good day to clean it. There is nothing more annoying than spending time to make your balustrade system look spotless, to then have it rain half way through all your hard work. Our advice is to check the weather forecast and choose a day that is not going to rain or blow a gail. After all you don’t want streaky rain drops or leaves and dirt blown onto your newly polished glass! 4) Choose a day to clean your balustrade system when it’s going to be left alone, this will help keep it cleaner for longer. What we mean by this is; perhaps your balustrade system is in an office environment and is mainly used as a handrail?…Cleaning it on a Friday evening over a Monday morning will be much more beneficial if it can be left alone over the weekend. Perhaps your balustrade system is on a balcony used to enjoy the view?…Cleaning it a few days before any visitors arrive instead of on the same day will help to avoid the glass picking up any sticky finger prints. The longer you leave your balustrade system alone to dry, the less likely it will attract new marks.